Click on Virtual Media Link to see Video. Open House Sunday, Nov. 11, 2-4 PM. This Home has it all! 1.37 Acres with Creek at rear and enough Trees to be Secluded, with lots of Beautiful Grassy Lawn in back too. And there's an enormous 2 level deck, playset, and firepit. 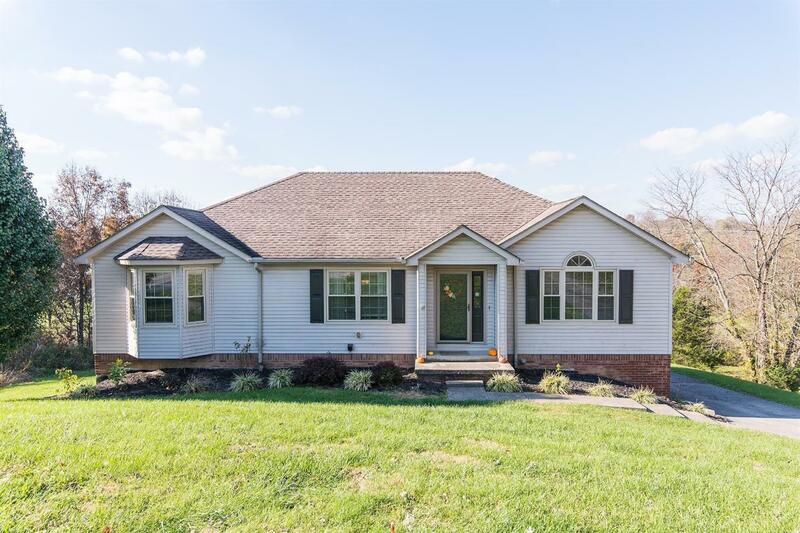 Large ranch on finished walkout basement is roomy throughout, and has great finishes, including hardwood floors, rock-trimmed fireplace, updated lighting, and gorgeous kitchen shelving. The Master Bath has been beautifully updated, and offers a large tub AND a shower anyone would love. The lower level offers lots of beautiful space, including Huge Rec Room that walks out to the back yard, and a 4th bedroom. (4th bedroom's closet is just outside the bedroom in the rec room.) This Home will sell QUICKLY.